We have put together a list of questions that we are usually asked by our students and parents. If you can't find your answer here, feel free to contact us. Anyone from the age of 4 years onwards. So age is not the major factor in learning - it is desire. A person is not limited by age, gender or physical impairment when studying Karate, but they must be willing. In most cases this should not restrict a person from learning Karate. However, it is always best to consult your GP before starting. What about breathing difficulties such as Asthma? Medical evidence indicates that practicing Martial Arts can have a beneficial effect on breathing disorders such as asthma. Do I need to be fit before I start Karate? Not at all. Once you enrol, you will find that our training regime is geared towards giving you all round fitness. 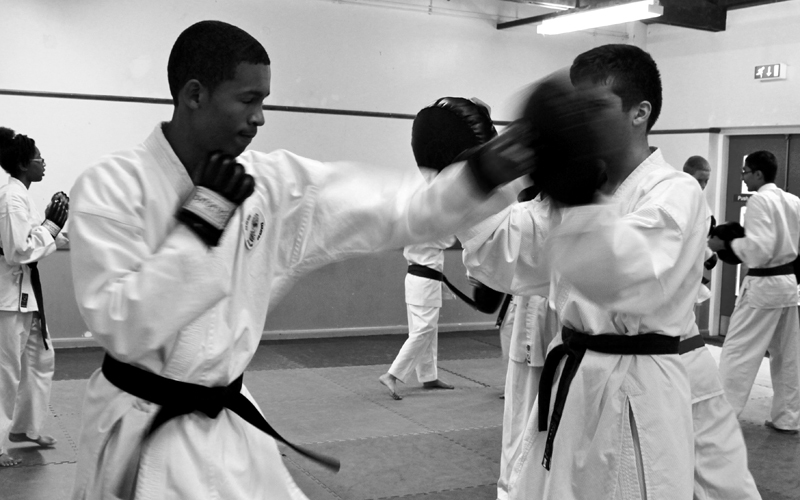 Our practical martial arts training skills include; meditation, yoga stretching, cross-training routines, karate techniques, boxing pad work, self-defence and more. The whole process will be gradual and you will be able to work at your own pace. How does the Karate belt system work? You will be tested periodically and promoted to different rankings or belt levels as your skill increases. However, it is important to remember that real proficiency comes from how you feel inside about your own progress. Many students state that “The more I learn about myself and the Arts, the more I find I don’t know.” As a result, several people find that proficiency is a life-long pursuit. What sort of benefits will I get from doing Karate? Just call us or come in to our Karate School. You can try a FREE lesson before you enrol. Please arrive 10-15 minutes before the class begins. You will need to wear something loose such as tracksuit bottoms, t-shirt or sports top. What will I learn in the early stages? Apart from doing the usual fitness and strengthening exercises, all beginners start with a twelve weeks Introductory course, designed to give you a general overview of Karate and also to give you an opportunity to see first-hand, how and what is taught at the School. What is needed to study? 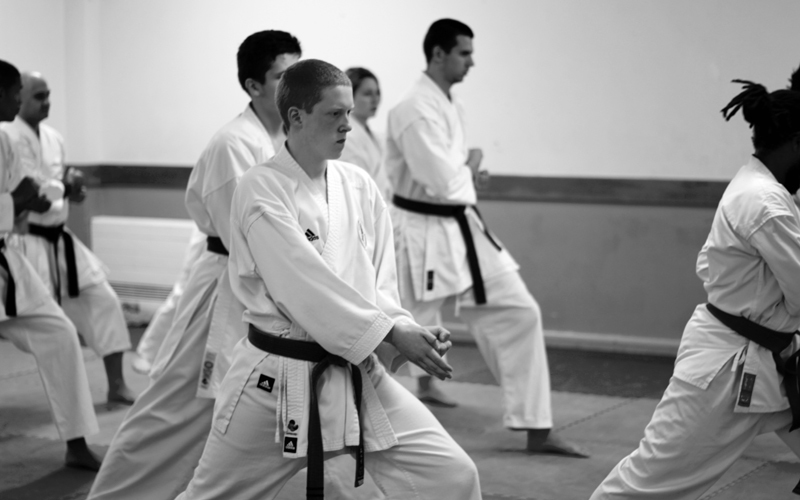 To be a student of Karate you will need a desire to learn and a willingness to practice. 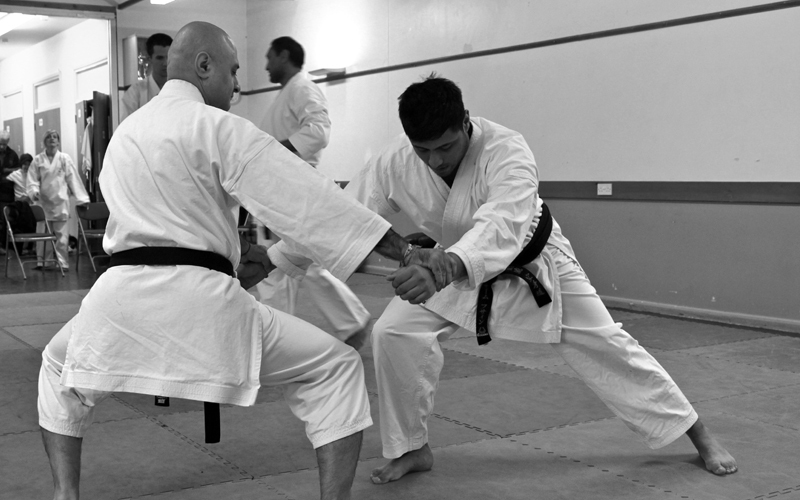 The Teachers at the East London School of Karate can give you the tools and encouragement to become an effective martial artist - but YOU will need to do the work! Will I need a Karate uniform? Yes, a karate uniform is most comfortable for training. The Karate School offers a student package for beginners. Parents of children are encouraged to sit and watch the class in progress. However, you may also leave your child to get on with the class and pick up at the end of the lesson. Yes of course! A number of families have found karate to be an excellent way of getting into shape – regaining flexibility and endurance. You will begin to build the foundations and to learn the basics from your very first lesson. It is our hope that at the end of each lesson you will leave with a better understanding of yourself and with a knowledge of what will or will not work for you.